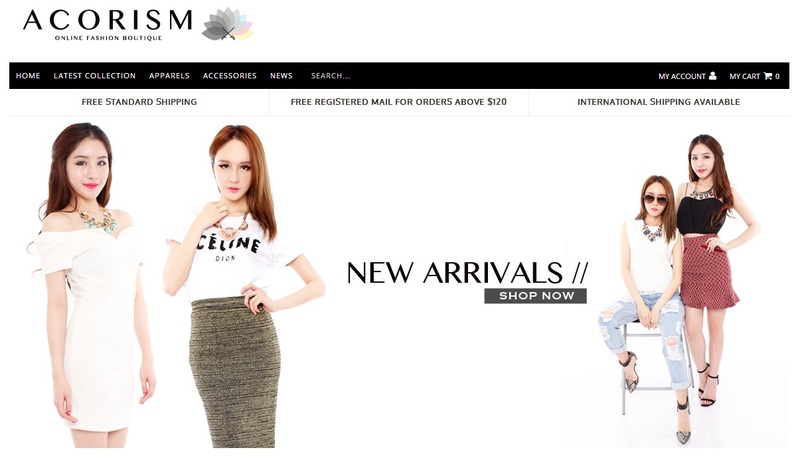 ACORISM is a Singapore-based online fashion boutique for the fashion discerning ladieswho are tired of repeated cookie-cutter apparels flooding the local online shopping scene. Our brand belief is to become the next buzzword in the online shopping scene- Known for our premium quality apparels and accessories and price commitment to our customers. We take pride in hand-picking each and every item you see on ACORISM to suit every style- Whether you're a flirty romantic or rocker chic babe. You are ensured that all apparels and accessories featured are unique, of premium quality and definitely affordable (Triple yays!). Stay tuned for our fortnightly updates via our online boutique, and stay in touch via Facebook and Instagram! This lazer cut out yellow top definitely felt fresh against all the vibrant and dull colours. Basic black lover you should totally check this out. At midday the sun was an angry eye. We were dying for air conditional while doing photo shoot outside. It is so infernally hot and humid. So hard to catch the perfect weather in Singapore this season. Anyway, i am so happy to be able to work with Acorism again. They coming up with really exciting! So follow them on Instagram or Facebook to find out!